Bringing justice to victims and peace to the region is still a challenge, Marijana told the participants. 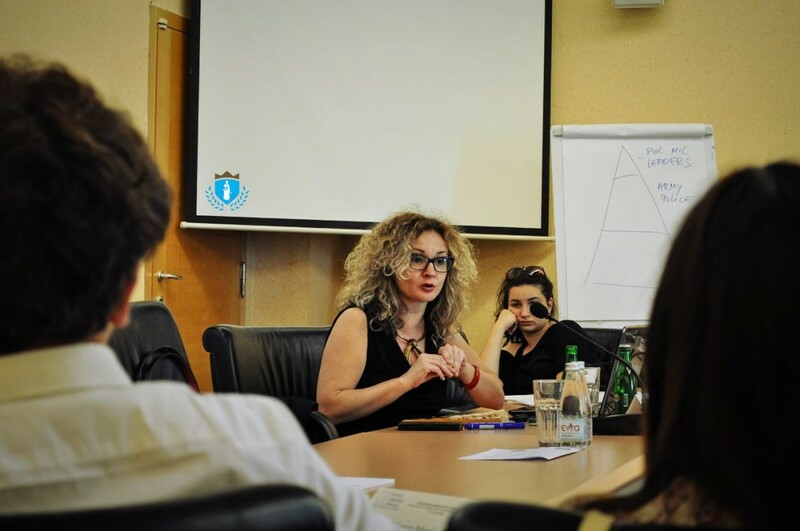 Deputy Director of the Humanitarian Law Center (HLC) Marijana Toma coordinates the Programme of Education on Strategies and Experiences of the Transitional Justice Process in the former Yugoslavia. Marijana has over 10 years of experience when it comes to transitional justice, truth commissions and reparations. The Association ‘Pravnik’ has been cooperating with Marijana for the past few years. The latest form of cooperation between Marijana and ‘Pravnik’ refers to the Regional Transitional Justice School which is being organized by the HLC, ‘Pravnik’ and the HLC Kosovo. Several students who participated in the second Regional Transitional Justice School in 2013 also participated in the ISSS 2014. During the opening ceremony of the ISSS 2014, several participants said that they applied for the school after their colleagues and friends, former participants of the ISSS, told them that they have to come to hear Marijana's lectures. Marijana spoke about the work of the ICTY, truth-telling initiatives, truth and reconciliation commissions and reparations. She mentioned that the golden age of the ICTY was actually between 2001-2007 (2008), which finished with the arrests of former Chief Commander of the RS Army Ratko Mladic, former RS President Radovan Karadzic and former President of the so-called Republic of Serbian Krajina Goran Hadzic. Lately, the ICTY has somehow a tendency of slowly stepping back and limiting the scope of accountability for high-level officers, said Marijana, and reminded of the cases of former Chief of the General Staff of the Yugoslav Army Momcilo Perisic and former Croatian Army General Ante Gotovina. As for national courts in former Yugoslav countries, there has been a tendency to prosecute only “foot soldiers” to send the message that crimes in the region were somehow incidents and not part of a systematic policy. She underlined the importance to prosecute “the middle level-officers” who, unlike low-level soldiers, were educated to know violations of the international law. She also said that REKOM has a strong support of the ICTY, as an institution which will somehow continue its work in the future. Mentioning the importance of cooperation in the region, she said that Kosovo has to cooperate with Serbia especially because bodies of victims killed at the territory of Kosovo, were transferred to Serbian territory (recently discovered mass grave Rudnica in Raska). Speaking about reparations, Marijana said that this is the most problematic area in general and especially in the area of former Yugoslavia. “Regional approach is more than necessary because each country gives reparations to its victims”, said Marijana. She added that denial of judicially established facts, denial of victims and their suffering is constant in the region. “Victims have to prove that they have suffered in order to get compensation”, explained Marijana. Asked by Renata Ribezl from Slovenia whether REKOM is on the right way, Marijana said: “I believe it is. I believe that it is never too late for truth”, Marijana responded and added that establishing the list of the names of all victims in the former Yugoslavia, will prevent manipulations with the number of victims.